I had the pleasure of going with our church group to Guatemala in November of 2015. We built for a family who loved on us just as much as we loved on them. They had a family member staying with them that was raped and as a result, had a young child. This young lady was the same age as my own child at the time. My heart grew attached to the family and made it difficult to leave this family after completion of the home. This build provided many obstacles, but our team overcame them all. It was raining when we arrived on site with mud everywhere and no way to pour concrete. The team strung tarps to divert the falling rain away from the build site. Day two was a sloppy mess, but God had us covered throughout the remainder of the build. 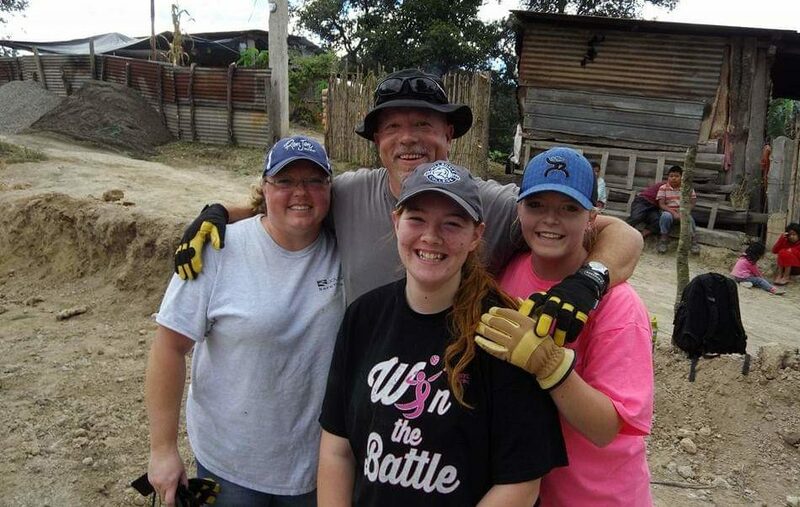 I had the opportunity to return to Guatemala in 2017 with my husband and my daughter along with 23 other individuals to build not one, but two homes. My husband and I led this trip for the first time ever. It was the first time for him and our daughter to be on a mission trip of this kind. 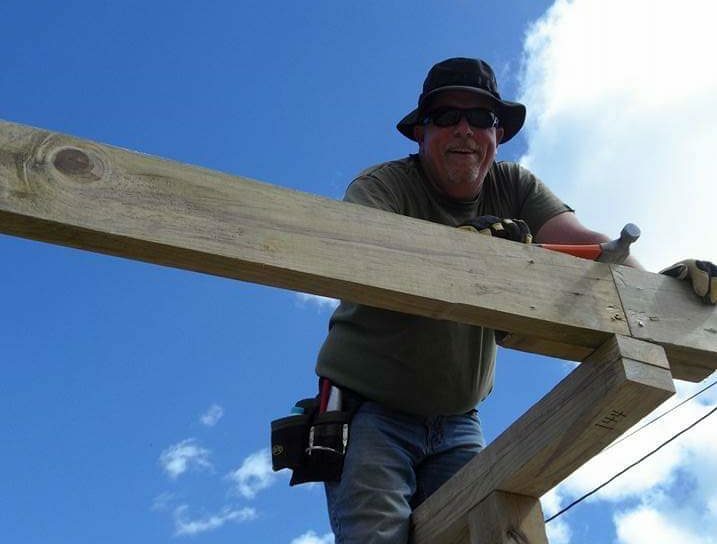 He did not think that this is what God wanted him to do, however, it was life-changing for him. I think one of my fondest memories from this build was of one of the family’s neighbors. He was a young man in a wheelchair who was full of life and humor. He would try to teach me Spanish each time we came over. I struggle with speaking their language, however, laughter is a universal language. This young man touched our lives. In 2018, we returned to Guatemala with a team of 16. Our main goal outside of the build was to be present within the community. Our church’s mission is “We love Jesus, we love people, and we have to go to heaven and take as many people with us as possible” and our vision is to “Journey in Christ with the Church for the Community”. We wanted to extend what we are doing in Colorado to the community in San Raymundo. We did many activities within the community in our short week to share our love with all who we came in contact with. We are now gearing up for another mission trip with Casas por Cristo in Guatemala in November 2019. I could not be more excited to bring a new team of people who love Jesus and want to make an impact for the Kingdom of God back to this community.